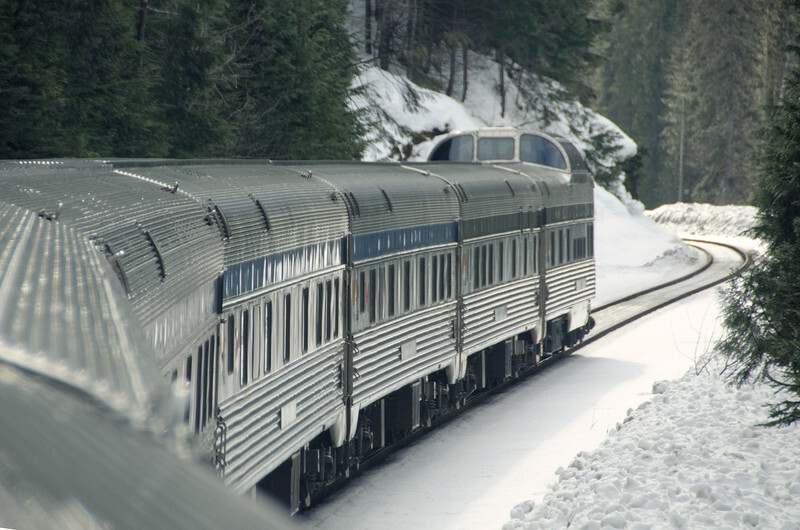 At one time sights like this were routinely available to travelers on many trains across North America. But now we are down mainly just to one...the VIA Rail Canadian. How special it is to sit in in comfort on a snowy Alberta morning in the dome and look back along the classic Budd stainless steel cars towards the distinctive Park Observation/Dome car bringing up the markers.